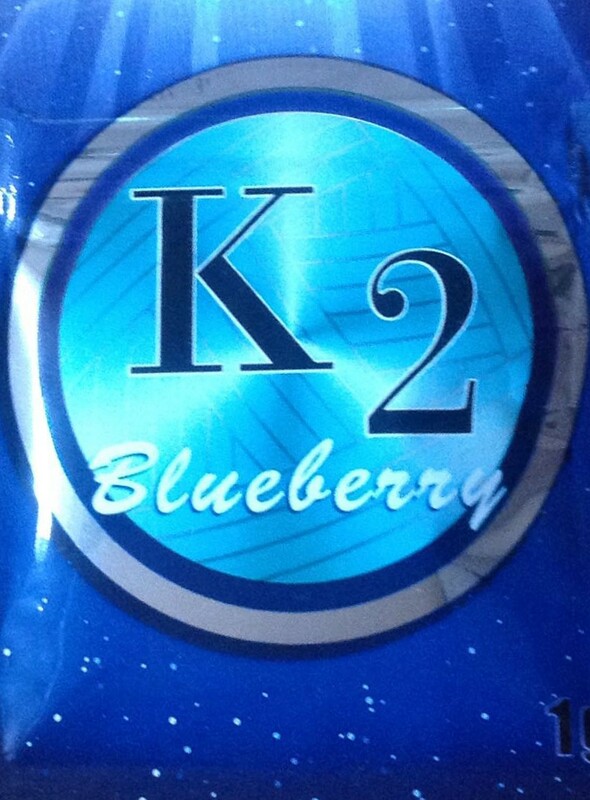 K2 blueberry is a cool play on the old popular blend. The packaging itself is sleek with a pretty cool image of focused beam circle. Despite this the labeling is crystal clear making for a bit of design disparity. Anyhow, this is not really too significant in the overall evaluation of the product–onto the herbs. The herbs themselves are a little moist in a good way. There are some very nicely formed herbs in the blend, a good number of stems, then absolutely huge stems. Perhaps chunk is a more suitable description. I’m talking tree trunk chunks. Even a feeble attempt proved futile as the chunks were difficult to light and remain lit. The smell of Blueberry is succulent enough, albeit not the freshest blueberry scent you’ll encounter. It does not have a palpable scent from the bag that carries well to the aroma, and call me crazy (which you can) but I got the sense of smelling the berry. The aroma is heavy but effective, producing a heady sensation for about 10 minutes or so before waning slowly to a fade in say, the next 20-30 minutes.